#1 To think that your elixir is more precious than your clanmates’ is selfish. You may not sit back, watch the tide, and then make your decision on whether to use your last attack. What exactly makes YOUR elixir more important than anyone else's? #2 Repetition becomes habit. Habit becomes 2nd nature, and then we have DISCIPLINE. 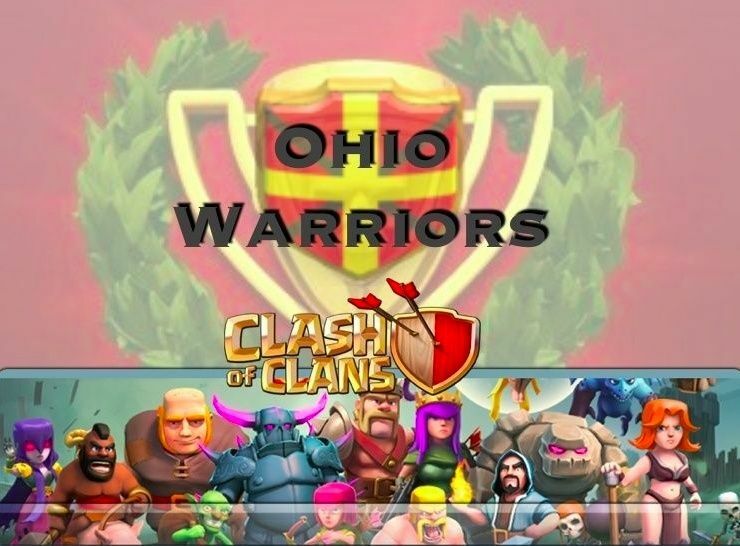 #3 We are a warring clan. We exist as a clan to help each other, and go to war. #4 Practice. We ALL could use the practice, and that’s for sure. I didn’t see much that made me think we’ve mastered much of anything. You get 2 chances each week to sharpen your war skills. That’s it. Raids don’t get it done. There is NO substitute for WAR. If for no other reason, we as a unit need to be striving to get better, and part of that is your WAR experience. As a result of the participation, and also because of the holidays, we are taking a week off from war. I will be working on a modified war schedule with the Leadership Council to find an acceptable time to accommodate the clan. As far as the war, there is a lot to take away. This could be a 4 page post mortem, but I’ve decided to condense it. I am going to start with what they did to us, followed by some of our failures, and then some of our success. But first the stats. Fuchsbauwelpen had 2 TH10’s, 4 TH9’s, 13 TH8’s, 8 TH7’s, and 3 sub-TH7 bases. They used 2 more attacks than we did. They had 11 defends (one was one of my attacks, yay) and we had 4. Their average destruction was 98.4%, ours was 82.6%. Fuchsbauwelpen had some pretty good skill, and I was amazed at their mastery of the GOWIPE. For those who are not familiar, the GOWIPE is the Golem-Wizard-Pekka combination. Several of us have been using this for a while now with some success. For me, I’ve only been able to 2-star with the GOWIPE, but I’m also a fairly new user of the method. They use their variation of it differently than what I’ve seen. Generally, they went VERY heavy on Wizards. Instead of wasting a lot of space with wallbreakers, they use extra wizards. I will be using this method next war. If you are a TH8 and starting to see your success rate fall with dragons, you should start thinking about your conversion back to a ground game. I am sure everyone knows that dragons lose effectiveness against stronger TH8 bases. This is just a fact of the game. As we improve, we need to adapt if we want to continue to be successful. Josh: GOWIPE, with the addition of a witch. Pati: GOWIPE, with level 5 Golems…which if you have level 5 Golems, you have more money than sense. Skyhawk: GOWIPE with the addition of a few hogs. Joroko: GOWIPE, traditional. One note, the guy used a single giant to draw out the cc troops, a strategy we have talked about here before. Lepios: All dragons. 2 rage, 1 healing. Francis Marion: Let’s start with my epic failure. I attempted a GOWIPE on #8 (my equal), but failed miserably. However, I learned a few valuable lessons. At the top of the war base were 3 “pegs” (wall pieces arranged as an arrow pointing up). I sent in a giant to draw out the cc troops (which included a darn witch), which worked, and eventually eliminated them. However, when I launched GOWIPE, those “pegs” redirected the wallbreakers, Pekka’s, and wizards off to the side, basically rendering my attack useless. Lesson learned. Also, the witches are quite difficult to contend with. Francis’s second attack was against a lower TH8 using hogs. (taken place in the Kohl’s parking lot I might add) This failed for one reason only: Healing spell was not dropped on the main force in time, and the hogs of course ran over a big bomb and all got wiped. Eric: Eric had a tall order on his #19 TH8 opponent. He went in with hogs and dragons. The attack was going ok until the level 1 hogs hit a big bomb and all got wiped. Hogs must be healed multiple times. Bryce the Great: Went in after Eric on #19 with Pekka’s and dragons and was able to get a star. However, air-ground combo’s can be tricky. The reason is that you’re air attack is usually predicated on eliminating AD in order to be effective. If you split your forces, you will want to have a specific objective in mind, such as those who use hogs to hollow out a defense, and then dragons can come in and clean up. Lead Monitor: Finished up #19 by going all-dragon and rage. #19 was a new TH8 with a level 1 AD and 2 level 5 Ad’s. So he was ripe for an all-dragon attack because of diminished AD capability. Diminished AD capabilities should be a red flag for us just to go all-dragon. Buckeyefan4ever: 2nd attack on Leeloo, #12. This was one of the best planned attacks that failed. Buckeye had the right idea, but first the cc troops were very stubborn, and then he just didn’t get quite enough mileage out of the level 2 hogs, although they did perform quite well. One thing I would like to caution everyone when deploying dragons: Make sure you are aware of where the storages are. We have explained in previous post mortems that dragons will get hung up on storages because of the HP. If the AD is on one side of a storage, you need to try to come at it from the other side. Buckeyefan4ever: 2-starred #7 with hogs, wizards and dragons. When you’re dealing with stubborn cc troops, it’s ok to drop a dragon on them if you have to. Buckeye got great mileage out of the hogs, eliminating all AD. Dragons were deployed where they had a path to the TH, and we got 2 stars. Great job on this one, especially strategically. Pati’s attack on #6: GOWIPE with 3 Golems and 3 Pekka’s, 2 rage, 2 jump. This was fun to watch. Although most of us don’t have the jump spell, this was really good. Pati has advised that the jump spell lasts over 30 seconds, so you can literally deploy it ahead of time, and then deploy your troops so they will go into it. Well done jumping them to the TH. 2 stars. Barrjosephson’s attack on #9. Traditional GOWIPE. Although 2 of the PEKKA’s went off to the side (a common risk you run with GOWIPE’s), he was able to get one PEKKA into the center for 2-stars. Normally, if your PEKKA reaches the TH, you’re going to get 2 stars minimum because of the massive damage per second from the PEKKA. JoeDBarr’s attack on #10: GOWIPE with heavy wizards and only one PEKKA. He used a single giant to draw out the cc troops, which works quite well. You will need to watch the placement of the wallbreakers on this one. The wizards did most of the heavy lifting while the Golems took the heat. However, the wallbreakers were able to find paradise by doing their jobs and punching through to the center. Skyhawk’s attack on #15: Golem-wizard attack executed to perfection. The elimination of the cc troops was very good as well. Golems tend to get hung up on walls, which is why you make sure to bring enough wizards, who carry their own wallbreakers with them. Remember that the defenses are always going to be firing at the Golem; this is your meat shield for wizards. 3-stars. Well done. JoeDBarr’s attack on #17. This was a 30 hog attack with wizards. 2 Healing spells and 1 rage. Joe has level 4 hogs which gives him some latitude on the HP issues with hogs. Although this was a lower level opponent, the execution was correct, and the trick to hogs is knowing when to heal them. 3 stars. Good job. ALL TH7’s: Continue the good work with your all-dragon attacks on opposing TH7’s. Overall I believe we were outmatched by students of the game, and people who just plain live CoC. While we will never be the clan that stays on 24/7, because we have lives, school and jobs, we can get better. I do however want to make a point of destroying the next German clan we meet. I know their food and beer are good, but the women don't shave their legs, and that is reason enough to send the next one packing back to the Fatherland, with their tail between their legs. I encourage everyone to watch some replays, and by all means visit the strategy pages of the forum to discuss new ideas. As always and comments and feedback are welcome. Keep it civil.